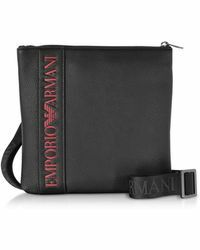 Georgio Armani's younger, more accessible diffusion line Emporio Armani is known for its sleek, minimalist wardrobe staples, channeling the style signatures of Armani's rich heritage. 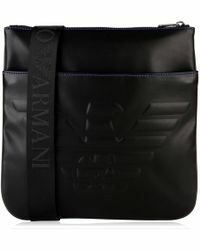 Imbued with the luxurious quality which defines Armani apparel, collections radiate sophistication and elegance. 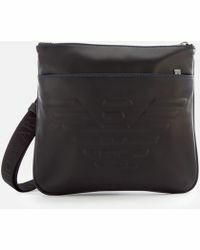 Clean lines, bold shapes and the finest leathers combine for Emporio Armani messenger bags. 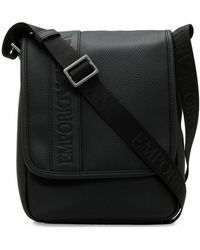 Adorned with eye-catching yet subtle logos, these bags will add timeless style to a sharp office ensemble or an off-duty weekend look. 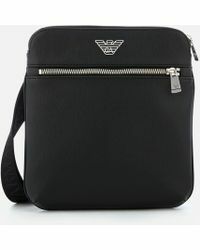 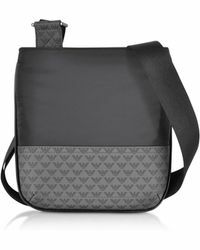 Showing 329 results for "Men's Emporio Armani Messenger"